Is there a connection between happiness and success? 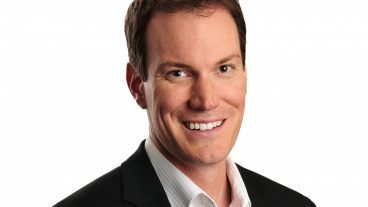 Shawn Achor is the world’s leading expert on the topic. His acclaimed TED Talk, The Happy Secret to Better Work, has been seen by over sixteen million people around the world, and his two books, The Happiness Advantage and Before Happiness, took The New York Times bestseller list by storm. Having spent over a decade at Harvard University as the Head Teaching Fellow in Positive Psychology, Achor bridges the gap between happiness psychology research and what it means for the workforce and individuals alike. Achor has spoken in dozens countries to a wide variety of audiences including a third of the Fortune 100 companies, the NFL, the Pentagon and the U.S. Treasury. In 2007, he founded Good Think Inc., an organization that believes “research should be lived.” His work has received attention from the likes of The Harvard Business Review, New York Times, Forbes, CNN, and NPR, and he was the subject of a two hour interview with Oprah Winfrey. Until now, we’ve been taught that to be successful, we must better ourselves and rise above others. The pursuit of fulfilling our potential has been individual and isolated. Research now clearly shows that this self-focused approach to achievement puts a cap on our happiness and success. It is only by pursuing potential in an interconnected way that we are able to achieve the heights of our potential in business and education. Only by making others better as we grow, can we see what we are truly capable of. Based on Shawn’s research, new findings using Big Data revealing the ripple effect of our actions, and his work in 50 countries, he outlines a five stage strategy for achieving interconnected success and how to apply them to your work and home life for greater energy, productivity, and success. Most companies and schools follow this formula: if you work harder, you will be more successful, and then you will be happy. This formula is scientifically backward. A decade of research shows that training your brain to be positive at work first actually fuels greater success second. In fact, 75% of our job success is predicted not by intelligence, but by your optimism, social support network and the ability to manage energy and stress in a positive way. By researching top performers at Harvard, the world’s largest banks, and Fortune 500 companies, Shawn discovered patterns which create a happiness advantage for positive outliers—the highest performers at the company. Based on his book, The Happiness Advantage, Shawn explains what positive psychology is, how much we can change, and practical applications for reaping the Happiness Advantage in the midst of change and challenge. What is more important than IQ and emotional intelligence combined? Based on the research in Before Happiness, Shawn Achor takes us to the beginning of human potential to explain why some people are able to make great changes while others remain the same. Before you can make a change at work or home, your brain first constructs a picture of reality; this mental picture already determines your likelihood of success and your ability to harness your brain’s IQ, emotional and social intelligence. In this exciting talk, Shawn takes the audience to the cutting edge of positive psychology and neuroscience to clearly demonstrate how one can become a “positive genius”: one who can continually architect successful, positive realities based upon true facts then transfer those realities to others. Using his signature humor, new case studies and interactive experiments that engage the audience, Shawn makes this research come alive. Shawn illuminates new research he did in collaboration with Yale published in the top psychology journal this year showing step by step how a leader can change their mindset about stress to increase productivity by 30% and lower health problems and fatigue by 23%. Audiences leave with five clear, practical takeaways, which can be used immediately to start to raise both happiness and success rates. In this program, participants will learn how to navigate multiple realities at work, cancel internal and external noise, add vantage points to planning, use success accelerants to speed goal completion and use meaning markers to spread positive genius throughout a team, family and an entire organization. Small Potential is the limited success we can attain alone. BIG Potential is what we can achieve together. Drawing on his work in 50 countries, this highly anticipated follow-up to The Happiness Advantage, shows that success and happiness are not competitive sports. Rather, they depend almost entirely on how well we connect with, relate to, and learn from each other. In The Happiness Advantage, Shawn Achor, draws on his own research – including one of the largest studies of happiness and potential at Harvard to fix this broken formula. Achor explains how we can reprogram our brains to become more positive in order to gain a competitive edge at work. Isolating seven practical, actionable principles that have been tried and tested everywhere from classrooms to boardrooms, stretching from Argentina to Zimbabwe, he shows us how we can capitalize on the Happiness Advantage to improve our performance and maximize our potential. An amazing event! It was such fun and so stimulating to have Shawn at Facebook! As we strive to help the world become more open and connected, remaining positive and grateful for meaningful and productive relationships is essential! Shawn’s ideas and research is very insightful to us as we think about our mission. Thank-you! Shawn was the highlight of our entire event! Absolutely the best presenter we’ve ever seen at any conference, anywhere. He is a top-tier presenter, has undeniable content backed with data, relates to everyone on a personal level, and motivates and inspires everyone to improve themselves both at home and professionally. Shawn hit it out of the park in both of his presentations. He was sandwiched between two other 20 minute presenters in the opening general session and he stole the show. The pre-event preparations were excellent, too. The members and guests of MHCA were treated to a fine presentation when you keynoted our Fall Conference. When selecting our speakers, we strive to find those people whose passion will inspire our members to higher performance and personal growth. Your message certainly did both. Clearly you have touched the heart of MHCA by describing The Happiness Advantage. Thank you so much for your message. Shawn Achor spoke at our annual team meeting in 2011. Shawn is a talented and engaging speaker. He has the ability to reach his audience through a unique combination of humor and real life experiences intertwined with results from his extensive research on happiness that brings credibility and validity to his message. After a two hour presentation (on a Saturday morning nonetheless), our team still wanted to hear more! I have heard from many that they are practicing his techniques to improve both their personal lives and their success at work. His message should resonate with any individual or company that values continuous improvement and strives for peak performance. Shawn Achor is an infectious speaker and can captivate an audience. He’s appearance was truly meaningful to my YPO members. I can already tell based on their responses that they have valued what he has said and are using it in their everyday lives. Thank you for making this possible! Harvard lecturer Shawn Achor is funny, self-depreciating, and devastating to my notions of what his field is all about. He’s got research that makes the “genes + environment + potential for success” model look like an idea only Flat Earthers could harbour. Even better, he’s got tips for how we can improve our brains. By the time he starts talking about “activation energy” and tells us we can prime our brains for enhanced achievement by doing one simple activity every day, I’m butter to his knife. A short note of appreciation for the outstanding, insightful and inspirational presentation at our Senior Leadership meeting. You have an uncanny ability to modify the content to the audience, and the result is impactful.